Best Mentoring Blog 2013 How do you create more passion? I got very inspired when I got newsletter from Brendon Burchard, talking about his fathers rules of life. I sat down and started the process of my own rules of life. Her is Brendon Burchard telling about his own rules of life in this podcast. Do you have life rules? I think it is a good way of telling your kids (the next generation)about life and how to live it. 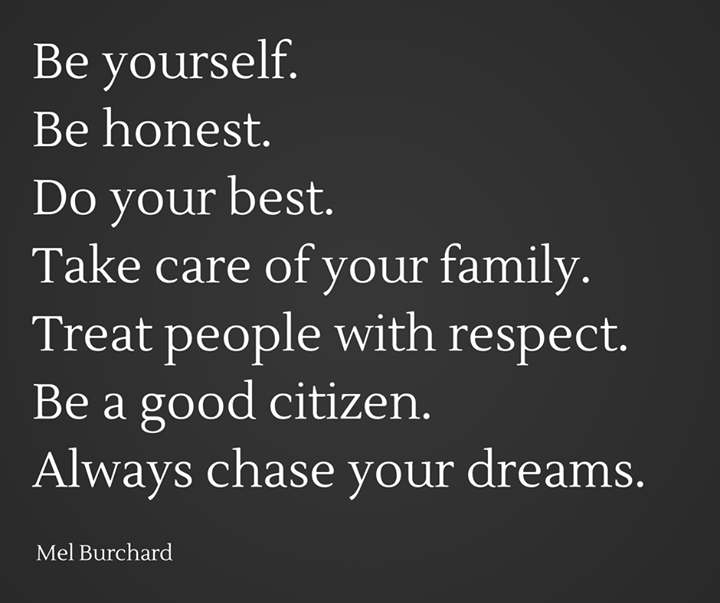 I will post Mr. Mel Burchard`s rules of life, to inspire you to write your own.